Shelter Dog Can't Understand Why No One Wants Her. Then A Little Girl Comes By And Does THIS! When people consider getting a dog, adoption should be at the top of everyone’s list. Unfortunately, shelters have gotten a bit of a undeserved bad reputation after a few bad apples. The sad truth, though, is that nearly 8 million animals are euthanized every year because they can’t find that forever home that they need. And yet, puppy mills and factory pet farms view animal lives as a business and flood us with ever more animals looking for homes. As long as the demand for puppies stays high, all animals suffer from the overpopulated shelter situation. To help combat this problem, shelters and animal rescue groups have had to reach into their bag for some marketing tricks to help spread the word about animal adoption. These little lives are stuck waiting in these cold, concrete cells waiting behind clear plastic doors. The commercials do well do show the shelters as they are, but the real transformation comes when they switch to the homes later. 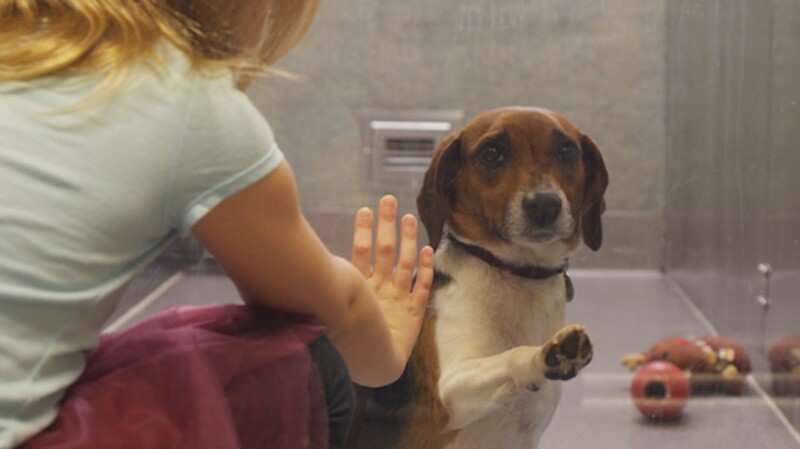 In the shelter, none of the dogs seem particularly adorable, but all that changes when a young girl falls in love.